The Southern Maryland Civil War Round Table is pleased to announce that its next meeting will take place on Tuesday, April 10, 2018 at 7:00pm at the College of Southern Maryland’s Center for Business and Industry, Chaney Enterprises Conference Center, Room BI-113, at 8730 Mitchell Road in La Plata, MD. 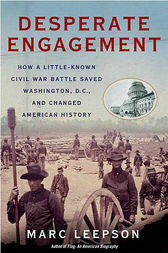 Journalist, historian, and author Marc Leepson will present a two-part program in April on the Battle of Monocacy based on his acclaimed 2007 book, Desperate Engagement: How a Little-Known Civil War Battle Saved Washington, D.C., and Changed American History. Mr. Leepson—the author of nine books, including his latest, Ballad of the Green Beret: The Life and Wars of Staff Sergeant Barry Sadler—will give a talk on the book on Tuesday, April 10 in La Plata. Then, on Saturday, April 14, he will lead an extensive tour of the Monocacy National Battlefield outside Frederick, Maryland. The talk—and the book—covers four short but pivotal weeks in the Civil War. The story begins on June 13, 1864, when Confederate General Jubal Anderson Early followed his commanding general Robert E. Lee’s secret orders to take an entire corps of troops from outside the defenses of Richmond and move into the Shenandoah Valley. Early quickly defeated Union General David Hunter at Lynchburg, then marched his troops north through the undefended Shenandoah Valley. 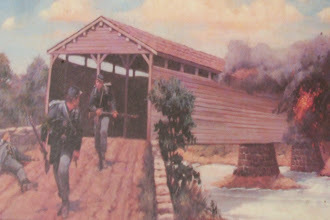 On July 5 Early’s troops crossed the Potomac, setting in motion the South’s third invasion of the North (after Antietam in 1862 and Gettysburg almost a exactly a year earlier in July 1863). The story ends almost exactly a month later, on July 14, 1864, when Early led his troops back across the Potomac after removing them from the fighting around Washington. The key event in the entire affair, the July 9 Battle of Monocacy, played a vital and under-appreciated role in the outcome of the war. In what would be Union General Lew Wallace’s finest military hour, he and his men came out on the losing end. But, as the book makes clear, the fight at Monocacy became known as “the battle that saved Washington” because Wallace held Early up for just enough time for Grant to bring much-needed seasoned troops to man the defenses of Washington. As for changing American history, Early’s move into Maryland and his march on Washington forced Grant to send the U.S. Army’s 6th Corps from outside Richmond to Monocacy and Washington and to divert the entire 19th Corps to the nation’s capital. Grant had been working on what he had hoped would be a plan to put a stranglehold around Lee in Richmond and Petersburg, a strategy that he had hoped would end the war, perhaps as early as the summer of 1864. That strategy dissolved when he had to send all the 6th and 19th Corps north. Marc Leepson is the author of nine books, including Desperate Engagement, Saving Monticello, Flag: An American Biography, Lafayette: Idealist General, What So Proudly We Hailed, and Ballad of the Green Beret. 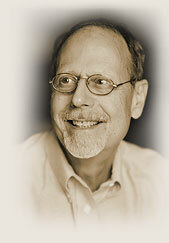 A former staff writer for Congressional Quarterly in Washington, D.C., he has written for many magazines and newspapers including The New York Times, Washington Post, and Wall Street Journal and Civil War Times and Military History, been interviewed on many television and radio shows (among them, CBS This Morning, The Today Show, Fox News, MSNBC, All Things Considered, and Morning Edition), has presented papers and chaired panels at academic conferences, and has given many presentations to university and high school students. He is senior writer, arts editor, and columnist for The VVA Veteran, the magazine published by Vietnam Veterans of America. He graduated from George Washington University in 1967. After serving in the U.S. Army, including a year in the Vietnam War, he earned an MA in history from GWU in 1971. He taught U.S. history at Lord Fairfax Community College in Warrenton, Virginia from 2008-2015. He has served on many non-profit boards, including the Library of Virginia Foundation, the Virginia State Library Board, the Loudoun County (Va.) Library Board of Trustees, and the Mosby Heritage Area Association. He lives in Middleburg, Virginia. His website is www.marcleepson.com. Attendance is free for all, but membership is recommended. For information, contact the Round Table’s president, Ben Sunderland, at bsunderland@somdcwrt.org or 443-975-9142. 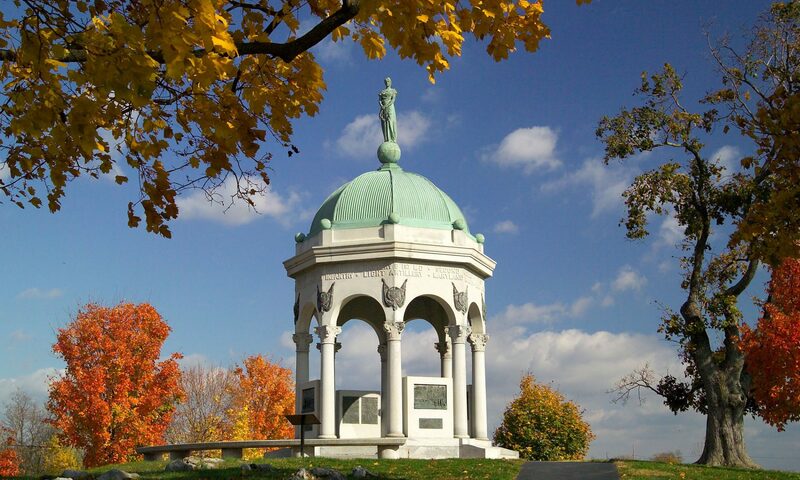 The Tour: Join us for our annual Spring Tour of the Southern Maryland Civil War Round Table. This tour will begin in La Plata (CSM Campus), where participants will board a chartered bus for The Monocacy Battlefield. The Battle of Monocacy (also known as Monocacy Junction) was fought on July 9, 1864, approximately 6 miles from Frederick, Maryland, as part of the Valley Campaigns of 1864 during the American Civil War. Confederate forces under Lt. Gen. Jubal A. Early defeated Union forces under Maj. Gen. Lew Wallace. The battle was part of Early’s raid through the Shenandoah Valley and into Maryland in an attempt to divert Union forces away from Gen. Robert E. Lee‘s army under siege at Petersburg, Virginia. The battle was the northernmost Confederate victory of the war. While the Union troops retreated to Baltimore, Maryland, the Confederates continued toward Washington, D.C., but the battle at Monocacy delayed Early’s march for a day, allowing time for Union reinforcements to arrive in the Union capital. The Confederates launched an attack on Washington on July, 12 at the Battle of Fort Stevens, but were unsuccessful and retreated to Virginia. The Guide: The tour guide is Marc Leepson, author of the book, “Desperate Engagement”. He will also speak to the round table on Tuesday, April 10th. Contact is Ben Sunderland @ 4439759142 or bsunderland@somdcwrt.org. Cost: The cost of the trip (bus and lunch) is $55 for members and $65 for nonmembers. Save money through early bird registration (March 13, 2018) $50 for members and $60 for nonmembers.